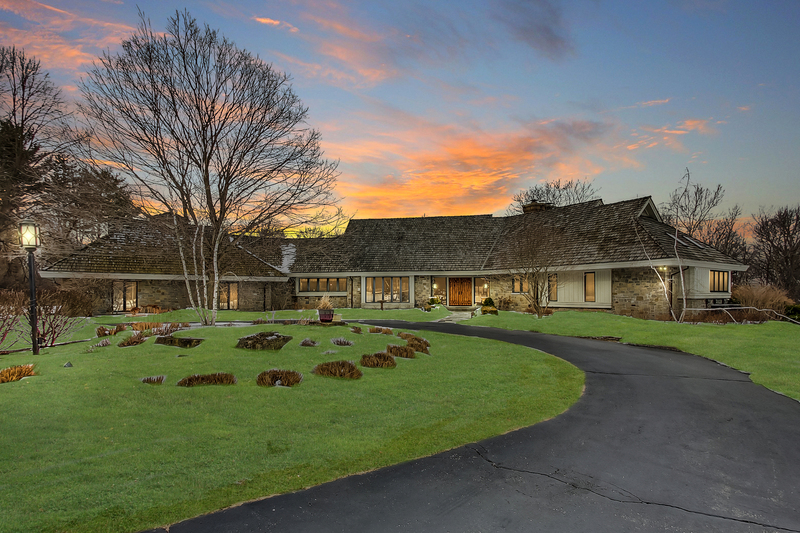 Overlooking Barrington Hills Country Club & designed by renowned architect Robert Parker Coffin, this home exudes quality before you even step inside! Current owners purchased the home in 2005 & put over $300K into it! Exterior details include - bluestone terraced patios, fire pit, outdoor grill kitchen, professional landscaping & copper gutters/shake roof welcome you to the home! Step inside - the interior has been updated by removing walls, remodeling kitchen w/custom cabinetry & new appliances featuring 48" Wolf, Sub Zero fridge/freeze & two islands! Exquisite lighting fixtures throughout home, updated baths, built-ins & plantation shutters everywhere! All this plus a newly full finished basement & stunning 3-season porch addition w/fireplace & vaulted/beamed ceiling! Every inch of this home shows pride in ownership! 3 bedroom/3.2 baths, dedicated office space, 1st floor master & laundry, 3 car garage! So many unique features w/in a stones throw away from BHCC & the village!